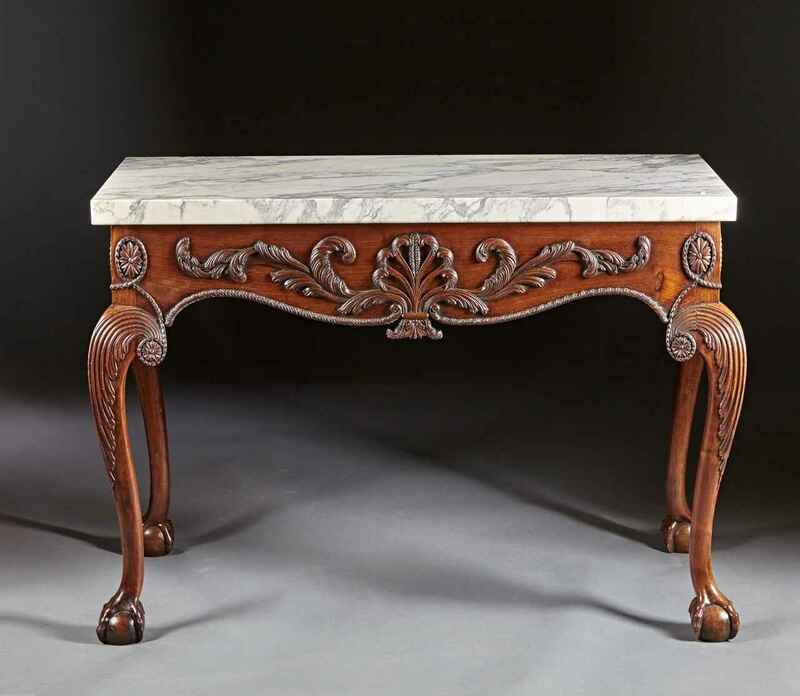 A George II-III period mahogany console table with white marble top on cabriole legs ending in ball and claw feet. The frieze with carved appliqués has a central plume with feathered branches flanked by rosettes and gadrooned serpentine apron. The knees are carved with elongated stylized acanthus and rosette collars. English or Scottish, circa 1755-60. Marble is a fine older replacement.